.Email Domain Names - The generic top-level domain name for email communications. Create a communications center for all your email needs. Register a .email domain name today! Since the introduction of the world wide web, the way we communicate has changed drastically, with email becoming one of the primary and most popular means of digital communication. Given the speed, ease-of-use and security that email presents, its no surprise that literally billions of people use email, many of them on a daily basis. With so many email addresses in use, and so many email messages being sent, it can be difficult to identify which correspondents and communications are from who and which of these can be trusted. This is where .email domain names comes in. Email domain names can be used by anyone for almost anything, and best of all, there are no restrictions on registering .email domain names. What can I do with .email domains? Perhaps you want to setup personalised email addresses for your family, friends, social group or want to create a set of email addresses for the various departments in your workplace? With a .email domain, setting up multiple avenues of contact is easy and ensures that the correct communications are received by the correct persons. Whether you operate an online business, run a small personal website or just want to create email addresses for your friends and family, with a .email domain name, you can keep in touch with the people who really matter to you! .Email domains also provide site owners with an affordable and effective way to create a dedicated and trusted communications hub for your website while helping to increase website traffic, online sales and visitor communication. .Email domain names can also be used to great effect for marketing campaigns, mailing lists, and receiving feedback. With email being a vital part of personal, marketing and business communications, .email domain names are set to become very popular and useful domain extension, however you choose to use them, so don't miss out, register .email domain names today. Where & when can I register .email domain names? 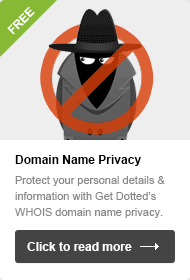 You can register cheap .email domain names immediately, right here at GetDotted.com! Simply type your new .email domain into the search box below to check if your chosen domain is available. 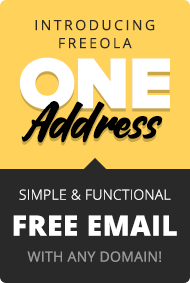 Remember with GetDotted Domains & Freeola Internet you won't just get your new .email domain name, we'll also throw in free unlimited email and website with our great free unlimited hosting offer. Our brilliant offers don't just extend to your new .email registration either. When you come to renew .email domain names (or any domain type for that matter), you'll save 10% on your domain renewal if you opt-in to receive renewal reminders by text message, and a further 10% if you choose to auto-renew, so don't delay, search for .email domain names with GetDotted today. 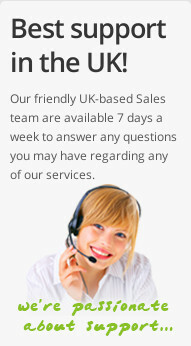 Visit our Domain Types & Prices page to see.